Heat oven to 350°F. Spray 12-inch ovenproof skillet with cooking spray. 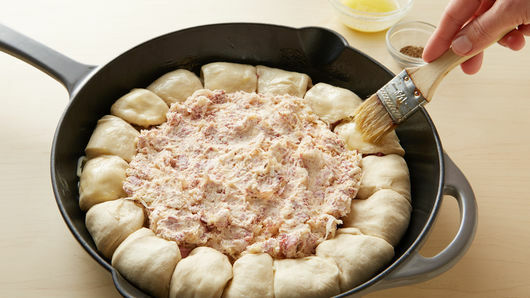 In medium bowl, beat cream cheese and 2 tablespoons of the dressing with electric mixer on medium speed until smooth. Stir in 1 cup of the cheese, the sauerkraut, 1 cup of the corned beef and 1/4 teaspoon of the caraway seed until mixed well; set aside. Transfer dip mixture into center of skillet, spreading evenly. In small microwavable bowl, mix butter and garlic powder. Microwave uncovered on High 20 to 30 seconds or until butter is melted; brush mixture on top of biscuits, and sprinkle tops with remaining 1/4 teaspoon caraway seed. 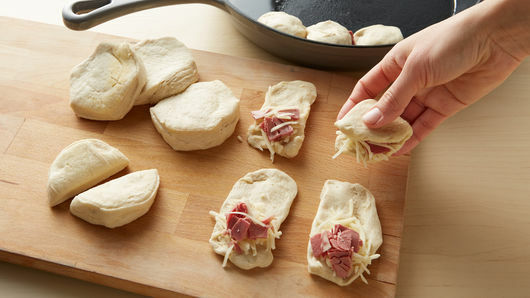 Bake 34 to 39 minutes or until biscuits are baked through and deep golden brown on top. Stir dip mixture. Transfer remaining 2 tablespoons dressing into small resealable food-storage plastic bag, and cut small corner from bag; drizzle on top of dip mixture. Garnish with chopped chives. Serve warm. 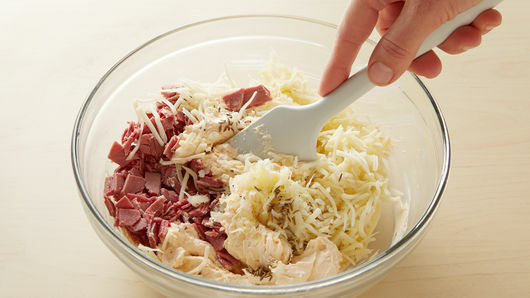 Make sure sauerkraut is thoroughly drained before adding to the dip mixture. 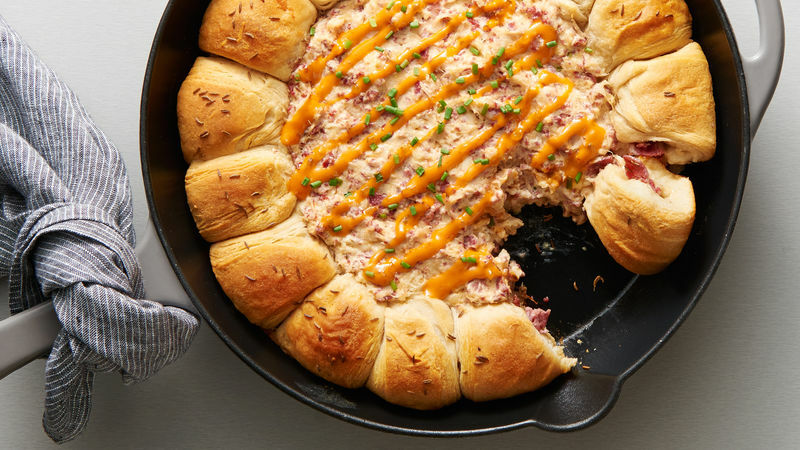 Skillet (and handle) will be hot, so be sure to cover the handle with a potholder or kitchen towel before serving.